Guest rooms vary in size and decor, recently restyled to a contemporary unconventional style. History, charm and refinement are a perfect combination for this 18th-century mansion best known as the Milanese house to Giuseppe Verdi, where the adored composer wrote the “Othello” and “The Falstaff”. Conveniently located on Via Manzoni, facing fashionable Via Montenapoleone, the Grand Hotel et de Milan is only a minutes walk to La Scala Opera House, The Duomo Cathedral and the Galleria Vittorio Emanuele. Guest rooms feature a contemporary style with elegant furnishings; the interiors are embellished by parquet floors and 18th-century moldings. The gourmet restaurant, Don Carlos, is intimately decorated with paintings and sketches of La Scala, and welcomes guests for dinner and post theatre supper. The Caruso restaurant is informal and offers al fresco dining on a veranda overlooking Via Montenapoleone. Built in 1863, the privately owned boutique hotel is perfect for visitors who want to experience the culture and history of Milan. The al fresco Caruso Restaurant offers traditional Italian cuisine, while Don Carlos serves reimagined Milanese fare. 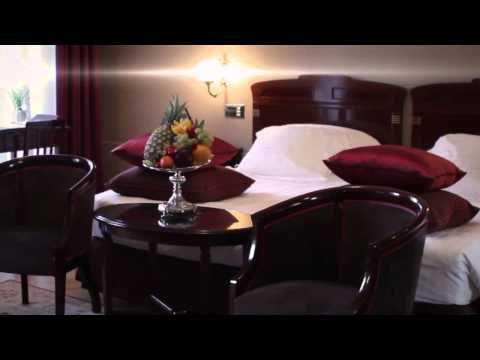 The hotel is located in the heart of the city, five minutes from the Duomo, La Scala Theatre and shopping and business district. Deluxe Suite. king bed / 65sqm / avenue view / free wifi / large living area. Double Comfort Deluxe Room. King or twin bed / 36 sqm / sitting corner.